It’s Fourth of July Morning, Do You Know Where Your Sangria Is? It’s the Fourth of July! So get the grill going and mix up a big batch of fruity, boozy sangria. 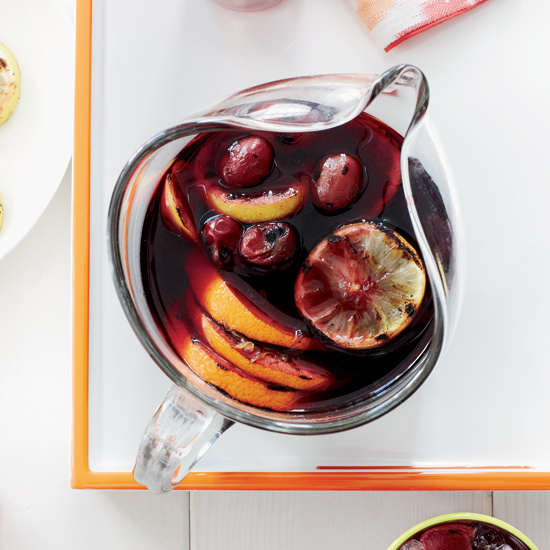 Here, six ways to amp up your sangria to make it ultra-festive for the holiday. Regular ice cubes made out of frozen water will dilute sangria as they melt. Instead, infuse yours with even more fruit flavor by cooling it down with fruit-infused cubes like these minted watermelon ones or these peach-thyme cubes. If you’d rather stick with old-school ice cubes, spruce them up by throwing in some blueberries and freezing them in start-shaped trays. Kick the day up a notch booze-wise by garnishing glasses of sangria with these rum-and-white-port-infused watermelon wedges. As long as you have the grill going, throw some citrus fruits and grapes on to make Michael Chiarello’s subtly smoky sangria. Or try this amazing grilled strawberry-rhubarb version. For an ultra-refreshing sangria, simply blend the fruit, wine and spirits together with ice. This delicious, slushy recipe is easy to follow. 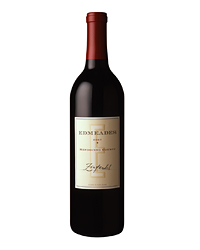 For a super hybrid Fourth of July cocktail, swap out wine for crisp lager. Ta-da! It’s brewsky sangria! If cider’s more your style, we have a recipe for that as well.